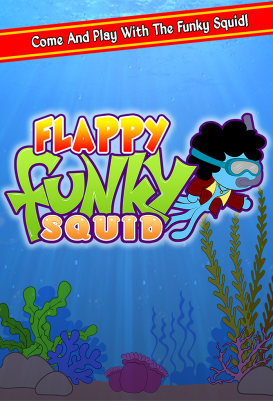 Fresh from his running adventures in Funky Squid Goes Running, this time Funky Squid has to navigate the treacherous seas underwater! 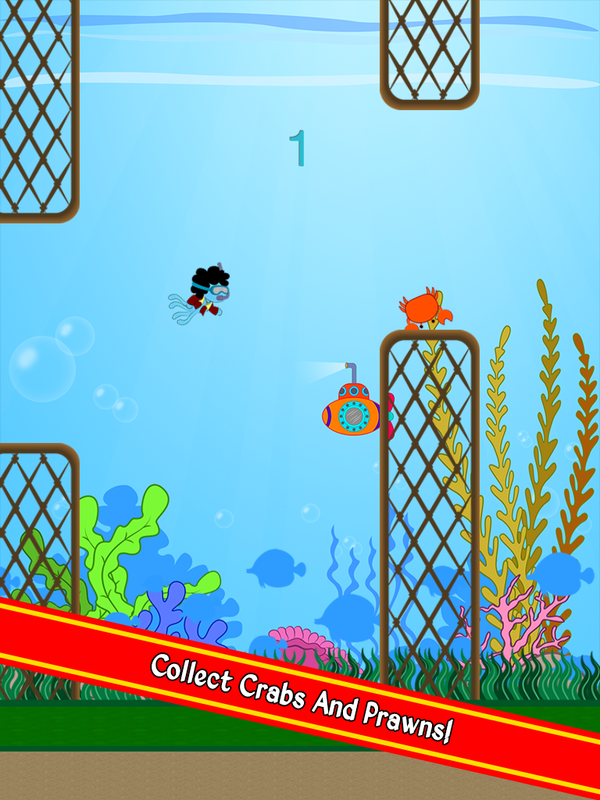 Avoid the nets the evil human fisherman are using to try and capture our hero, and dine on a fine selection of crabs and prawns in the process (A squid need a full stomach, right?). 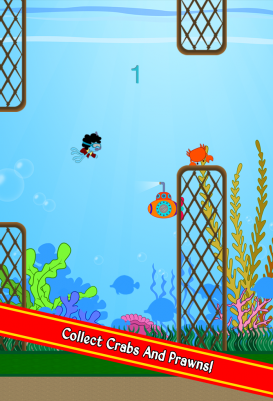 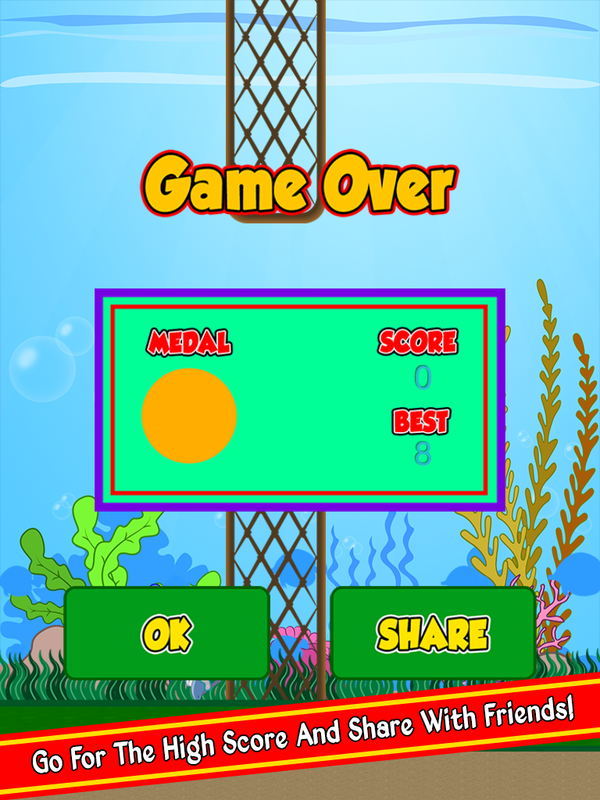 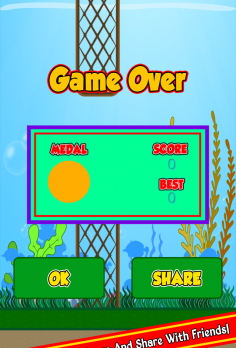 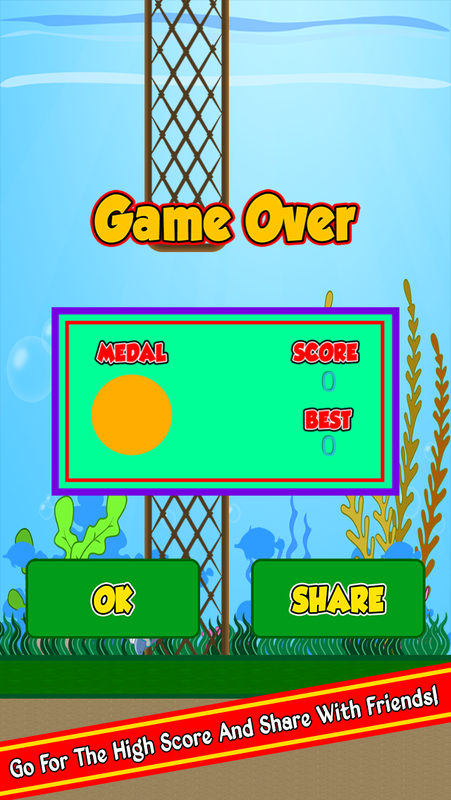 Thats right, your goal in this endless underwater runner is to get as far as you possibly can and score as much as possible. 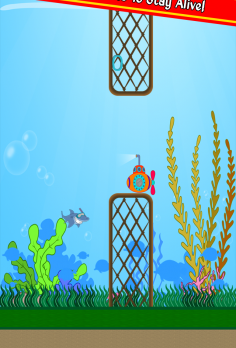 If you are really lucky, you will get to meet Flappys cousin Bob, the shark! 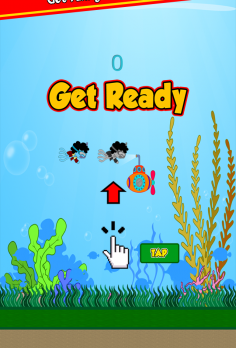 Not only that, you will get to play him in game as well. 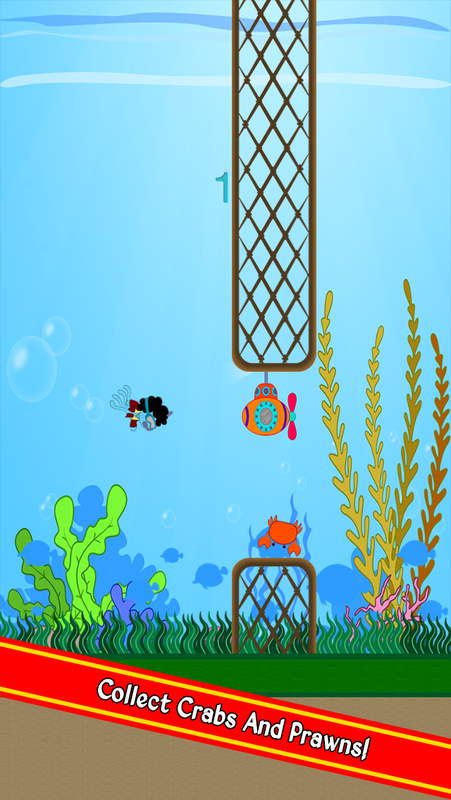 With a lively music track, engaging sounds, beautiful underwater themed graphics and a squid you will just love to control, this is one game you will want to dive into quickly. 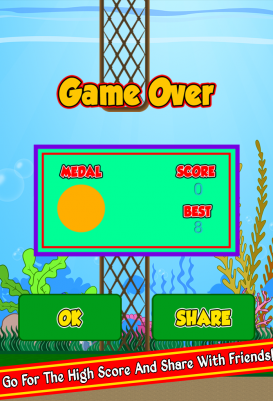 Can you get your name on the global leaderboard? 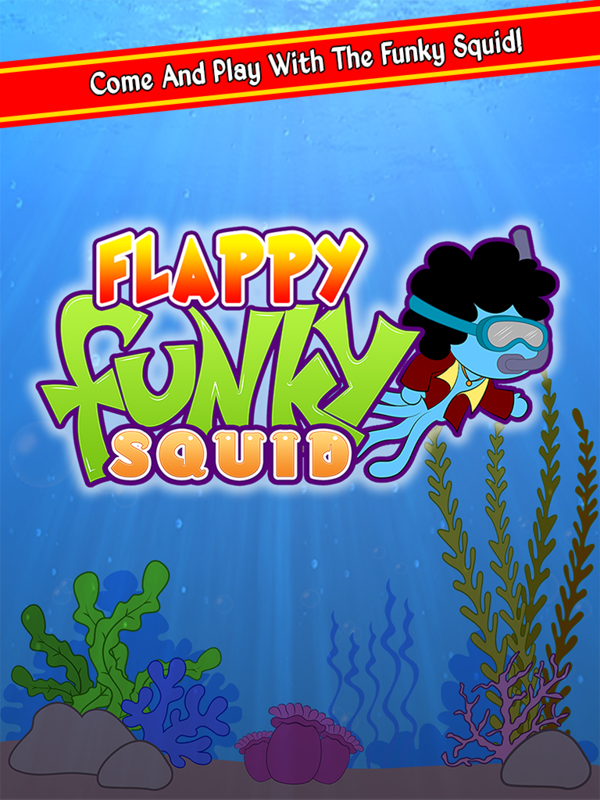 Download Flappy Funky Squid today! 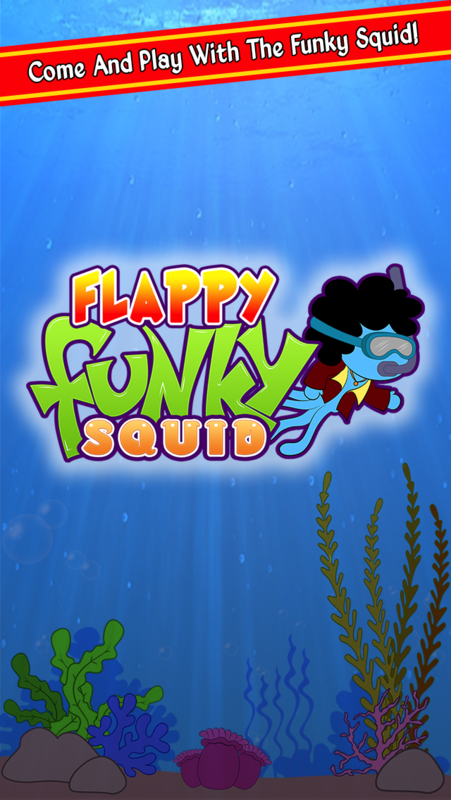 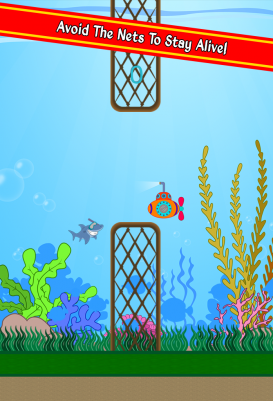 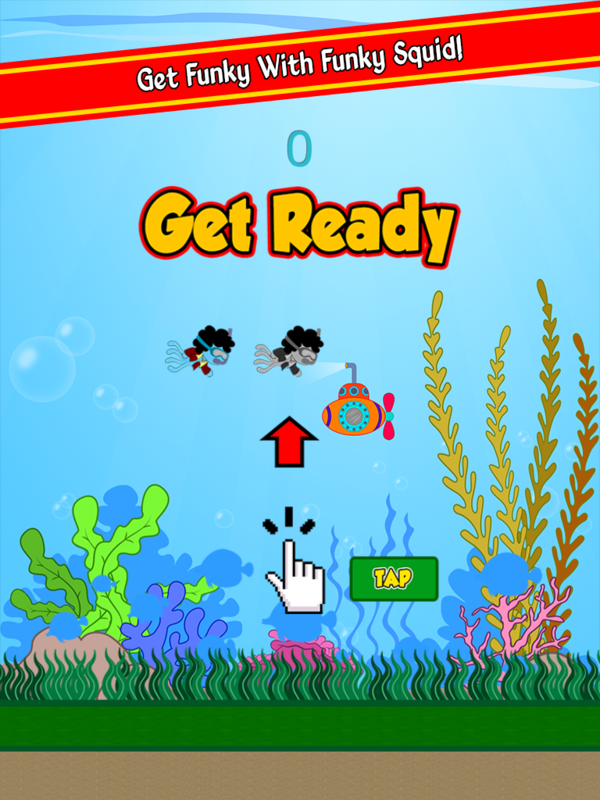 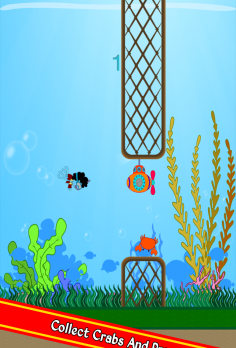 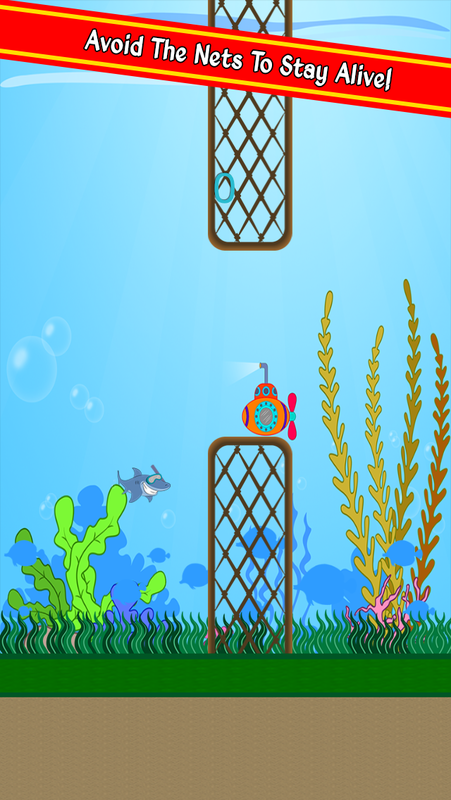 Flappy Funky Squid works on your iPhone, iPad, iPad mini and iPod touch. 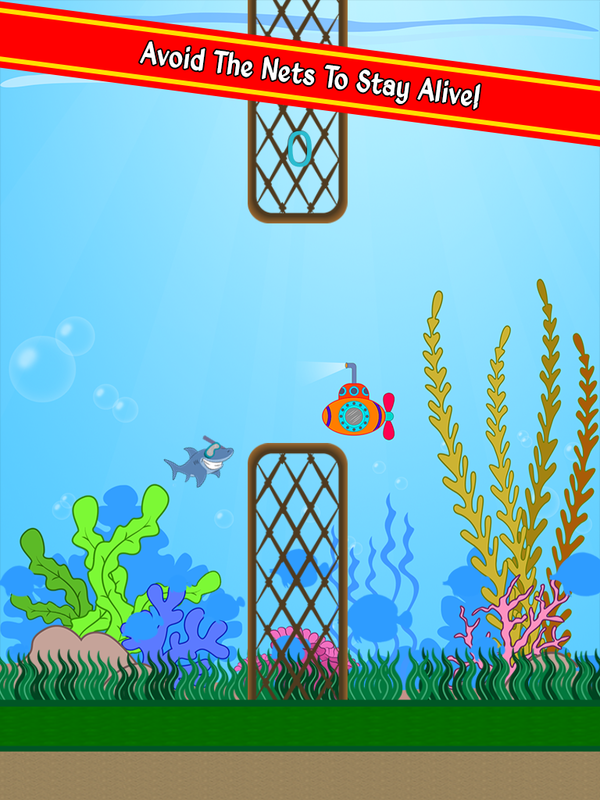 We also have a version that works on most Android phones and tablets! 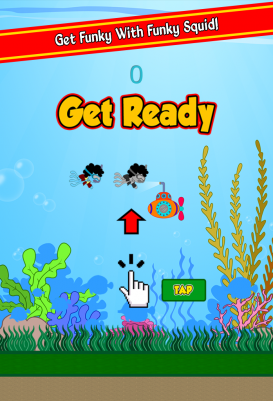 Please don’t be shy and send us your feedback and comments! 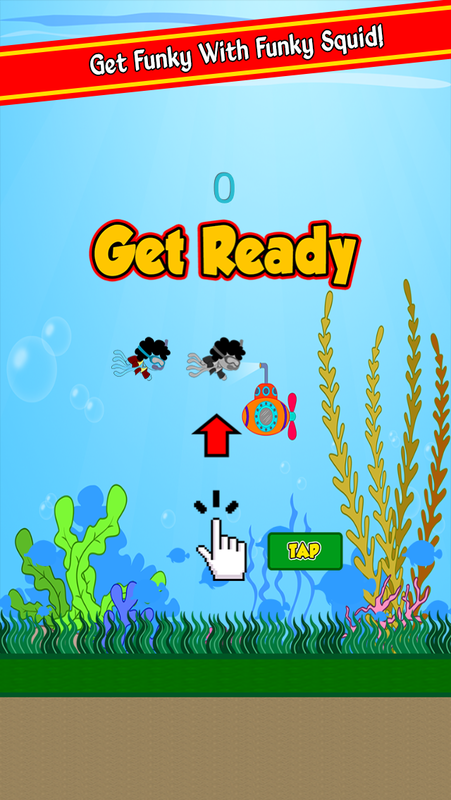 Follow us on Twitter and check out our site for updates and future releases. 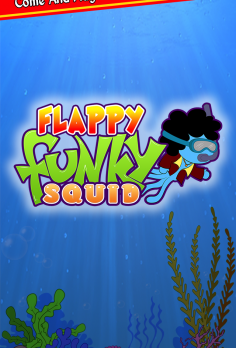 How to Get Flappy Funky Squid FREE?